With its products found in the cupboards and pantries of 8 out of every 10 homes in the U.S., Del Monte Foods is a household name in the U.S. and throughout the world. Known as a producer and distributor of high quality fruits and vegetables, it comes as no surprise that Del Monte is a company that takes quality seriously – from the freshness of its produce to the accuracy of its packaging. As a testament to this commitment, the company recently undertook an initiative to improve the quality and traceability of its canned products. Del Monte wanted to ensure that the product code printed on the top of the can matched both the contents inside the can and the label that is applied to the can. They also wanted to verify that the product code was readable to be sure that products could be easily traced back to key points in the canning and packaging process. Without an error-proofing system in place, incorrect codes resulting from human error, and missing or unreadable codes caused by printer faults, posed several risks including mislabeled products reaching customers, accidental product mix-ups on the line, mixed products shipped to customers, and ultimately consumer safety risks and costly product recalls. The company needed greater peace of mind that its packaging process was being done properly and its products were leaving the facility in the correct condition. Del Monte recognized the benefit that automated vision inspection provides both to the consumer from a quality standpoint, and to the company in terms of reduced waste and cost savings. Accurate labeling assures the reseller and end-user of the product that there will be no surprises when opening the can. Inspection is critical for compliance with allergen labeling and prevents product recalls due to mislabeling. Expanded traceability enables the company to limit the extent of a recall should one become necessary, and speeds troubleshooting by helping to identify precisely where an error has occurred. The PC-based vision system includes Gigabit Ethernet (GigE) cameras positioned at multiple key points throughout the packaging process, all of which are supported by Microscan’s Visionscape software. Visionscape supports up to eight camera inspection points per system and includes a comprehensive toolset for a wide range of inspection applications. 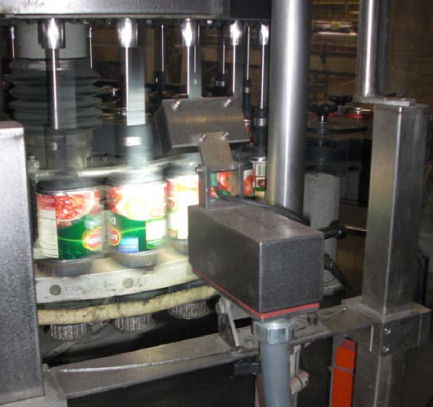 An enclosed camera positioned on a can seamer reads the variety code on the top of the cans. 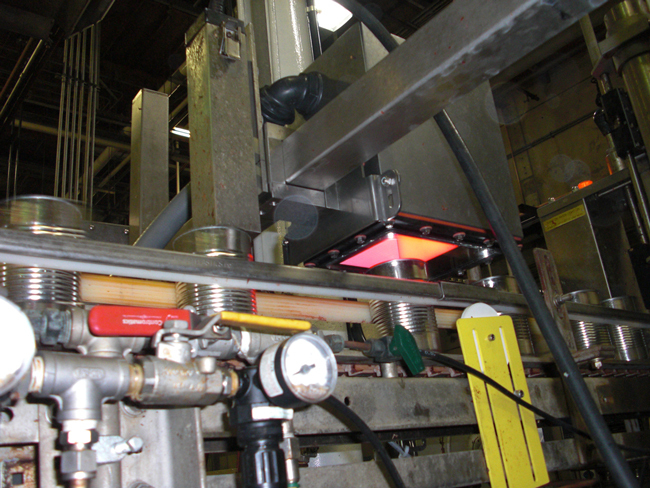 The system inspects and verifies printed product codes, UPC/2D codes on product labels, and finished cases at varying operating speeds up to 1,200 cans per minute. Any code that is missing or unreadable is rejected from the line. If the system detects the wrong code, the line will shut down and alert the operator. Custom user screens, created by Tensor ID, link Microscan’s Visionscape with the PLC and SQL database. All of the data collected by each individual inspection point goes to the PC and is stored in a SQL database. A PLC provides the controls for the system. Tensor ID created a custom user interface that links the PLC, the PC, the database, and Microscan’s Visionscape software, to provide the analysis and control needed for this application and future applications. The system inspects both UPC and Data Matrix codes on the product labels. Because there were not any off-the-shelf systems on the market to satisfy all of Del Monte’s requirements, Tensor ID designed, built, and implemented a completely custom system, including intuitive user screens that enable employees to run the system and initiate line changeovers with minimal training. 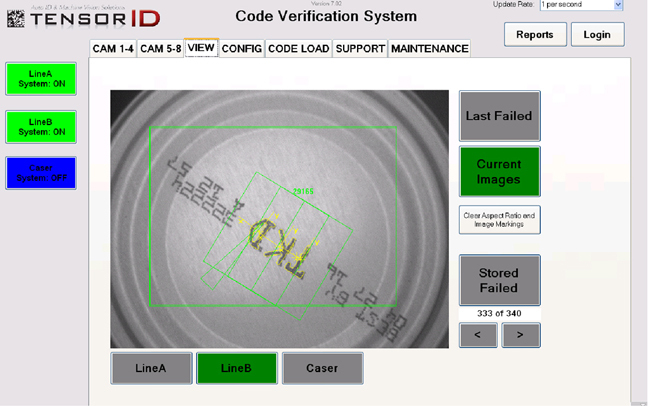 Operators can view pass and fail counts, view current and last failed images, adjust inspection tolerances along with camera settings, and request remote support from Tensor ID. 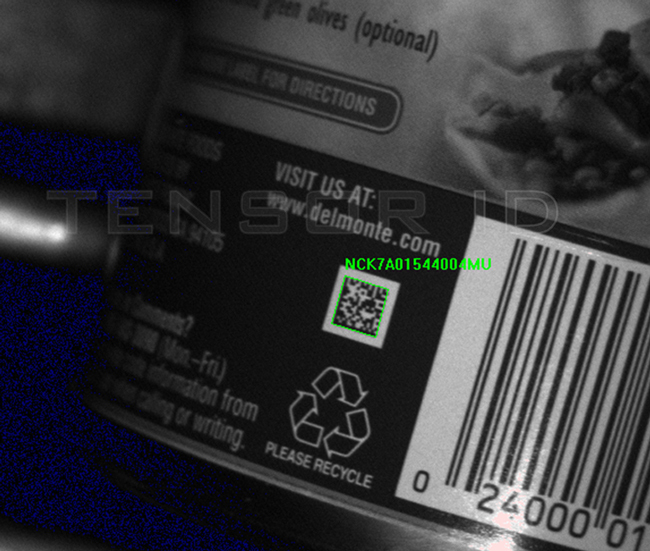 A camera reads the UPC code during the labeling process. 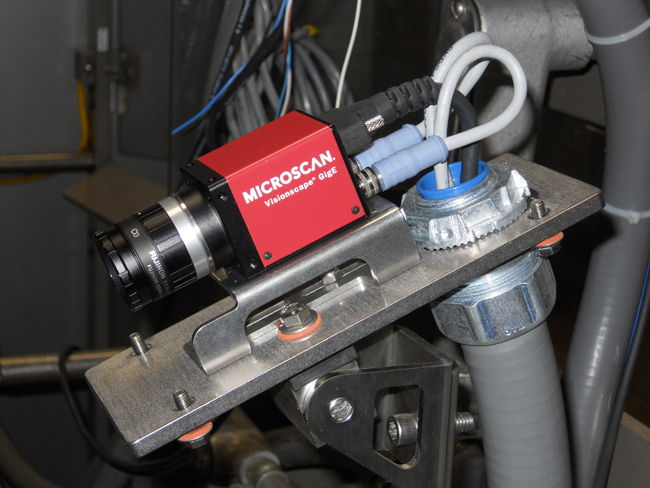 Microscan’s Visionscape software supports up to eight camera inspection points per system. Within the past two years, Tensor ID has installed over 70 inspection points at six Del Monte locations within the United States. Proactive in its quality policies, Del Monte plans to incorporate even more error-proofing steps and additional inspection points into its process moving forward.